Amazon's Kindle killed paperback/hardcover books and now millions of readers hold of these devices. Consequences?? Borders,Gateways and major bookshops filing bankruptcy. Netflix killed movie rental business like Blockbuster. I already have Netflix account and it's awesome. I'm also Amazon's prime member meaning I order things on Amazon without having to worry to make bulk purchase simply to get free shipping. I can order an item and still can get Free 2 day shipping. This is what this Amazon's Prime is all about. I pay yearly $79 and today, they announced that I'll be honored with unlimited streaming of 5000 movies and TV shows at my disposal. Should I ditch Netflix? No, I won't. They still carry the DVD delivery at mailbox. Amazon doesn't have that yet but I know they're just experimenting at the moment. I checked some movies on Amazon and the quality is pretty decent. The fact is latest movies are not free even for Prime members. Needless to say, I'm as a consumer is still very happy to have that bunch of entertainment at my request. So, guys, this is only for Prime members and it seems they're following Netflix's footstep. I mean come on, Netflix's $9.99/month unlimited streaming and DVD rental I think is unbeatable. 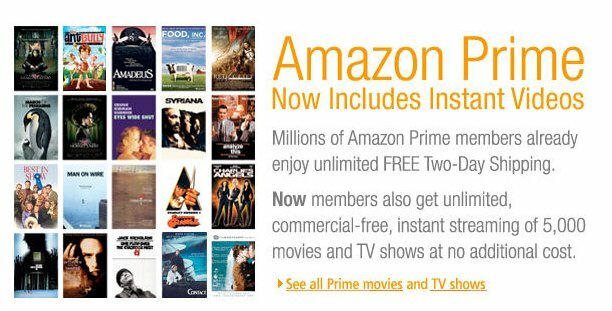 But, there is no harm having more collection via Amazon's Prime Movie database.